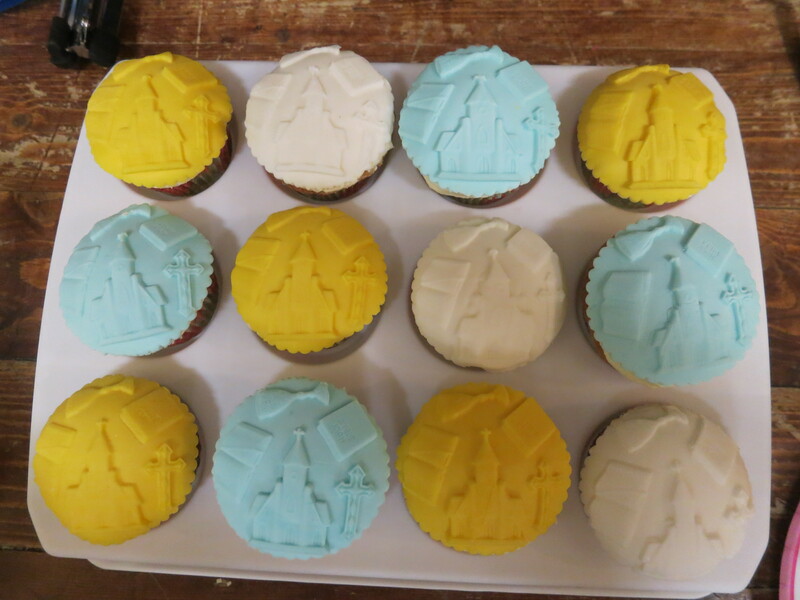 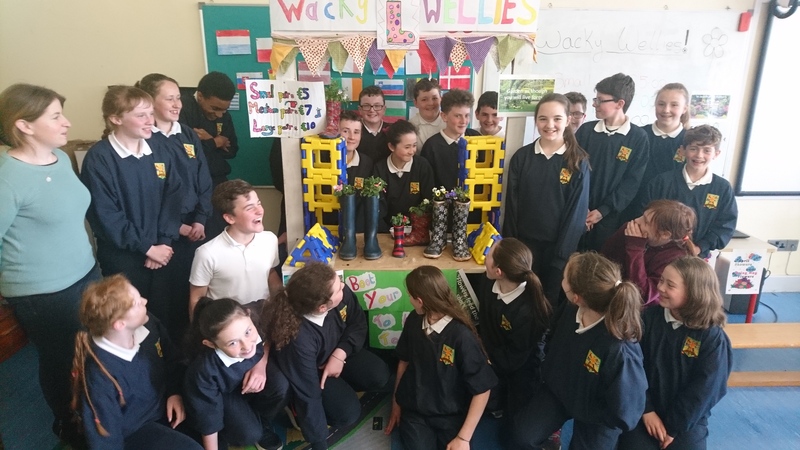 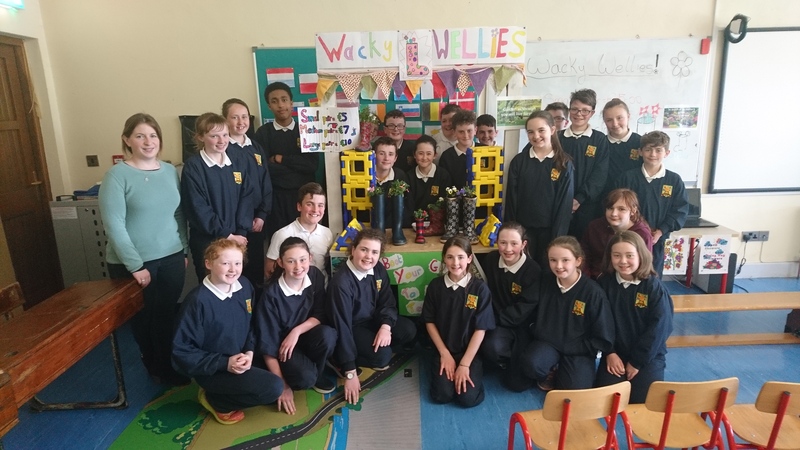 The senior room have been busy in recent weeks developing their business idea ‘Wacky Wellies’. 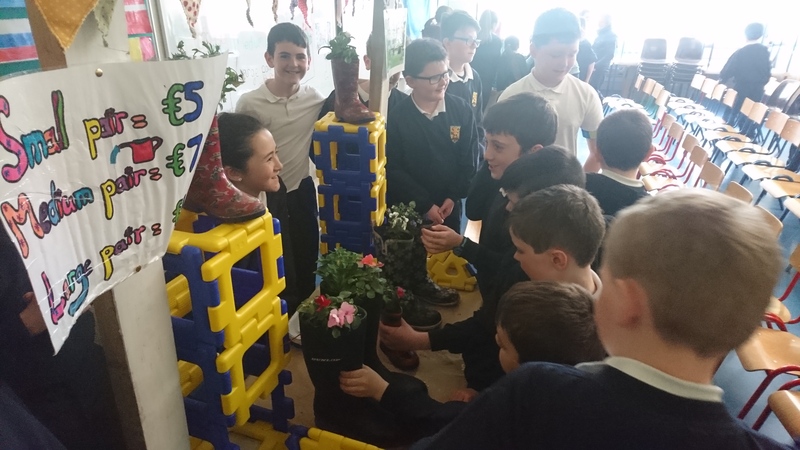 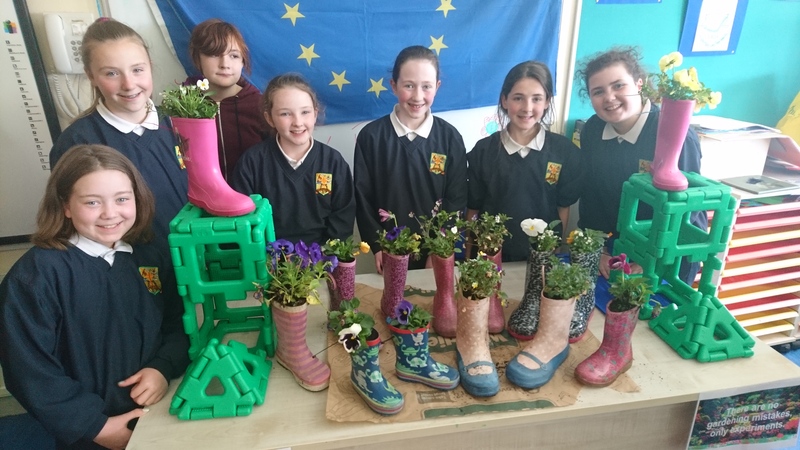 Thank you to everybody who has supported them in their business idea by either sending in old, unwanted wellies or by buying some of their lovely garden planters. 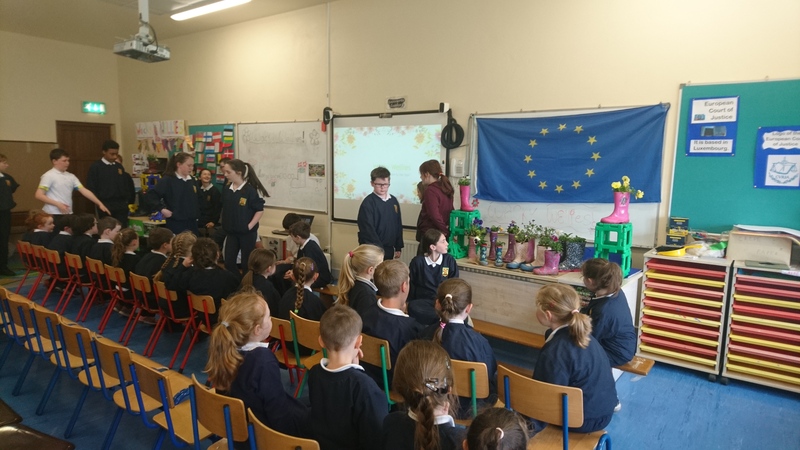 The money they raise is being put towards reducing the cost of their end of year school tour. 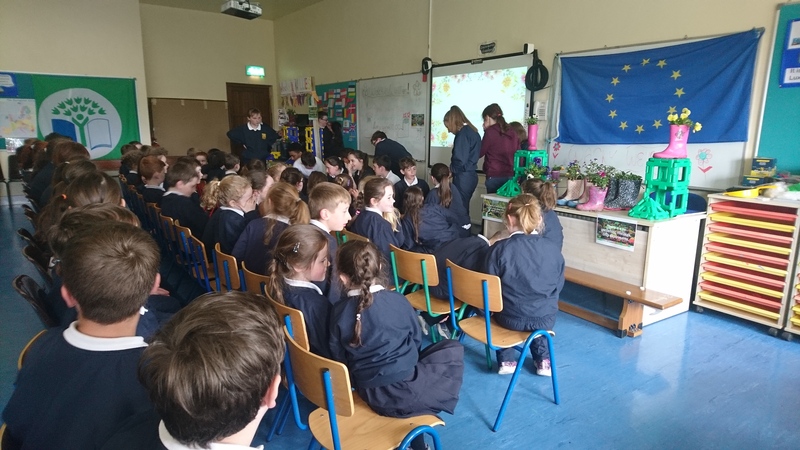 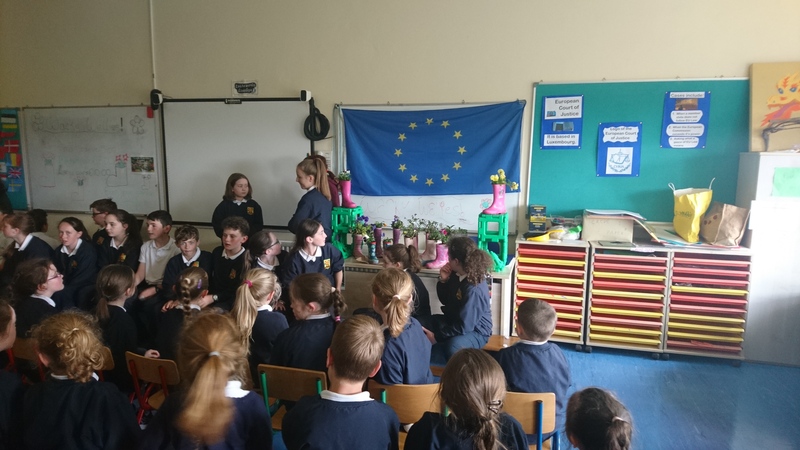 So far they have earned over €200. 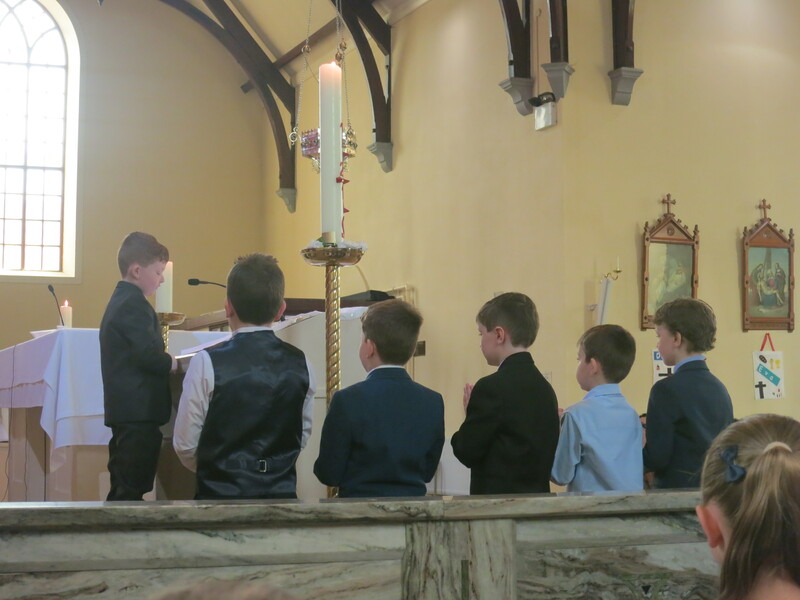 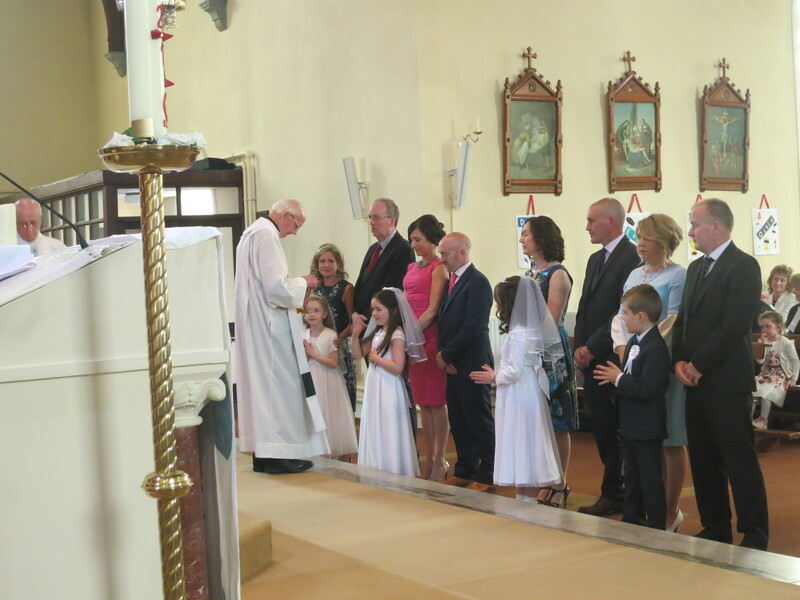 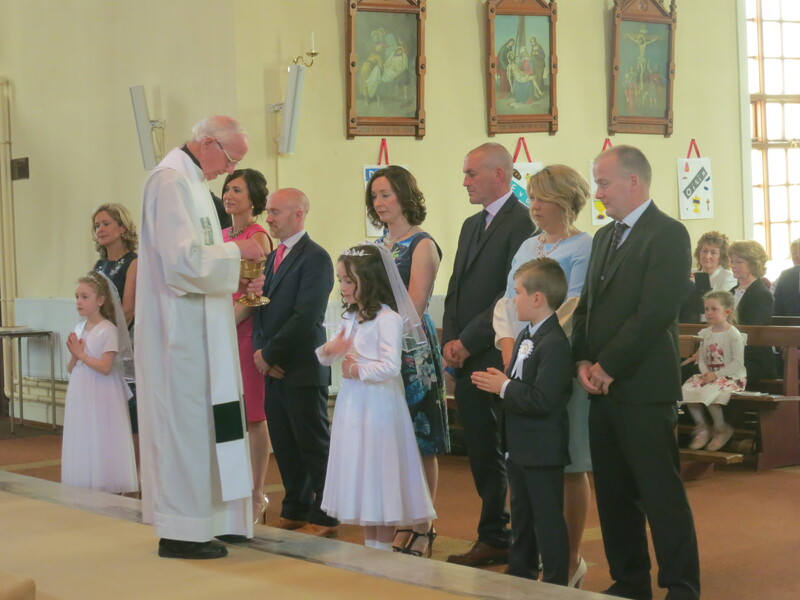 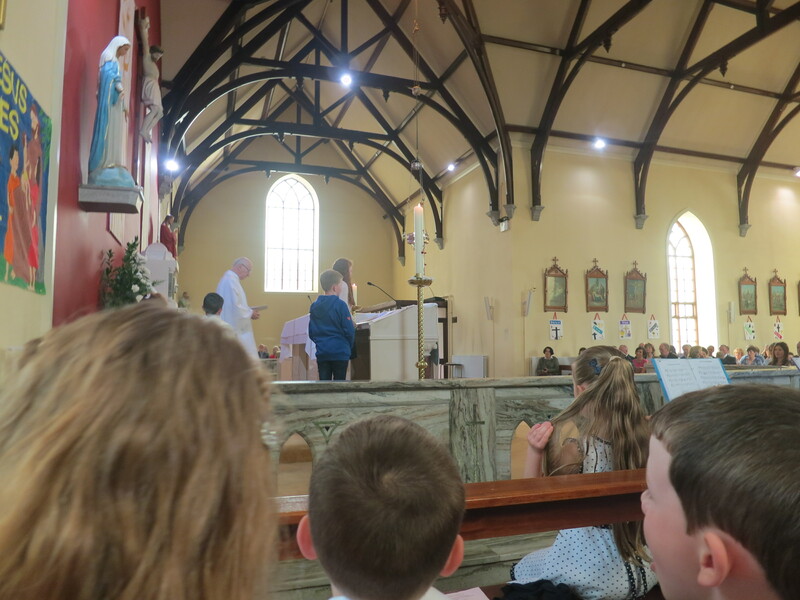 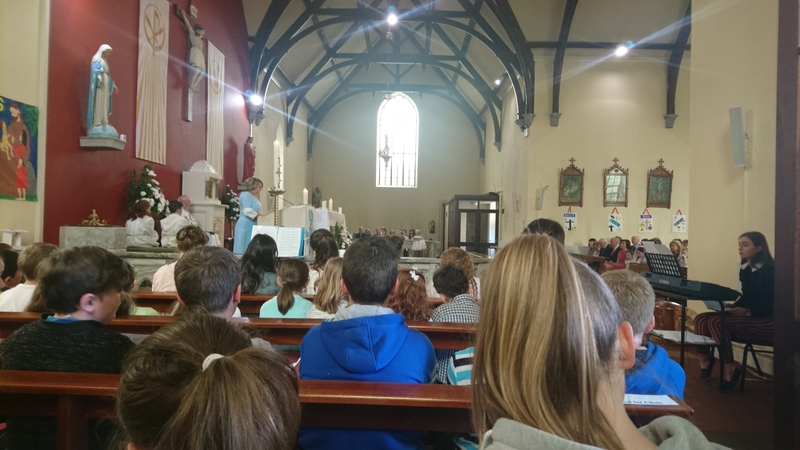 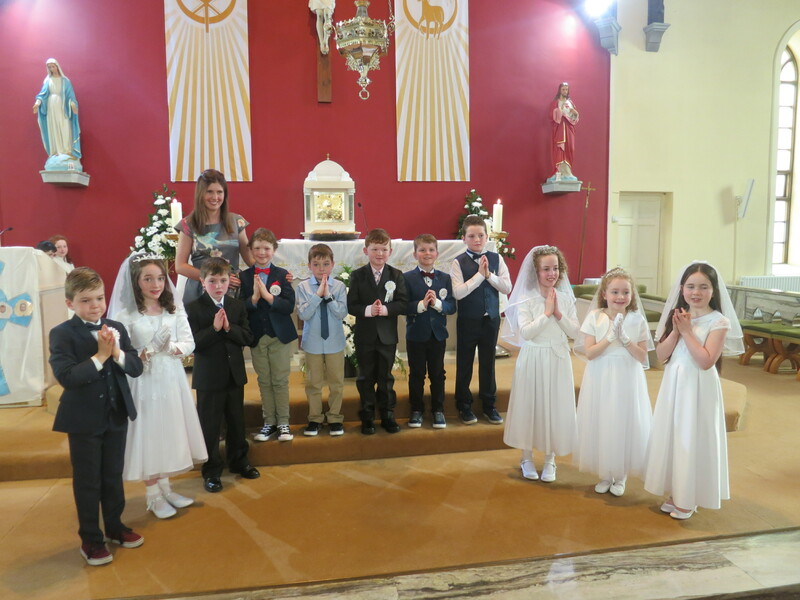 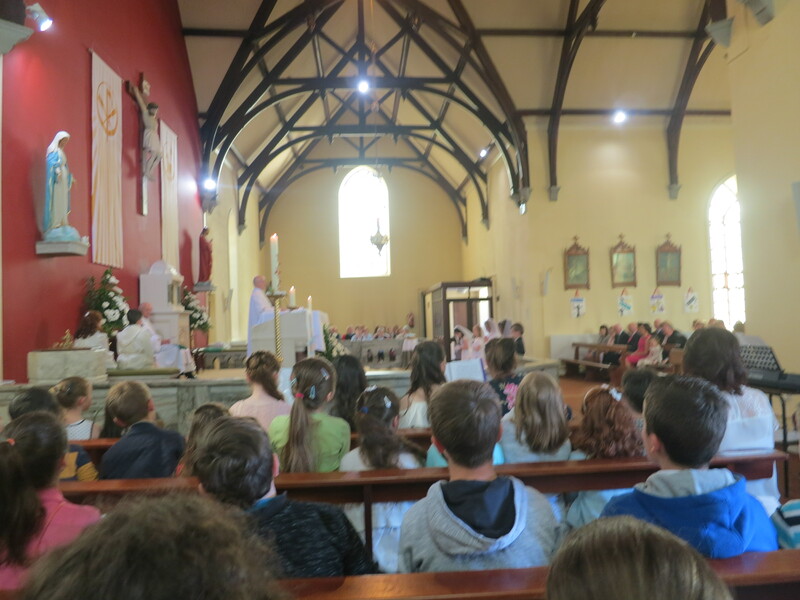 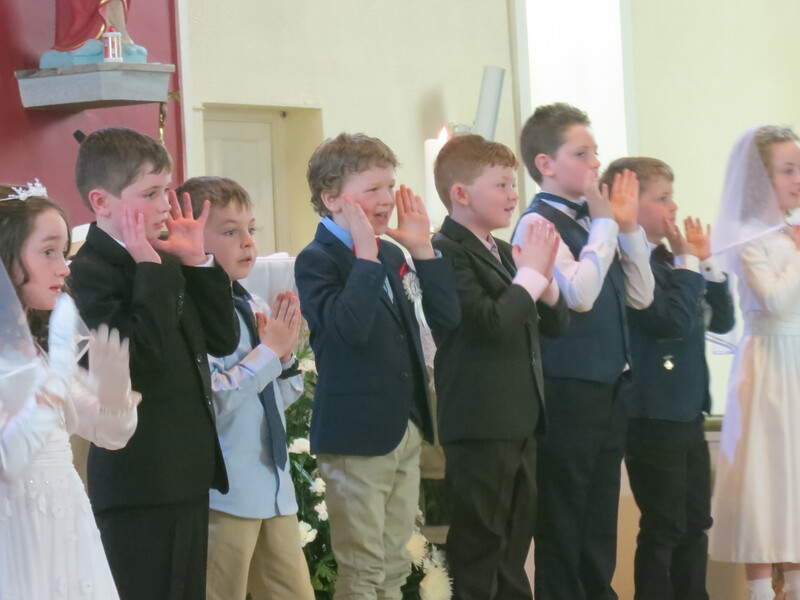 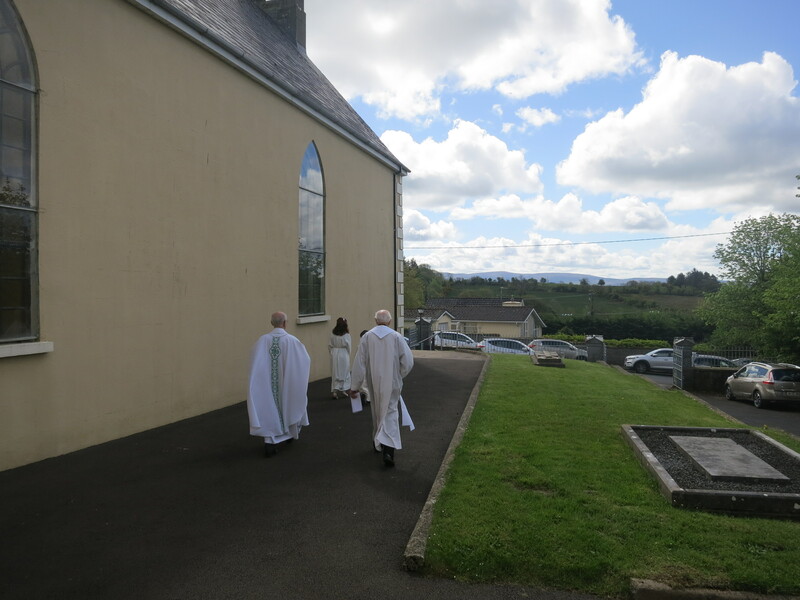 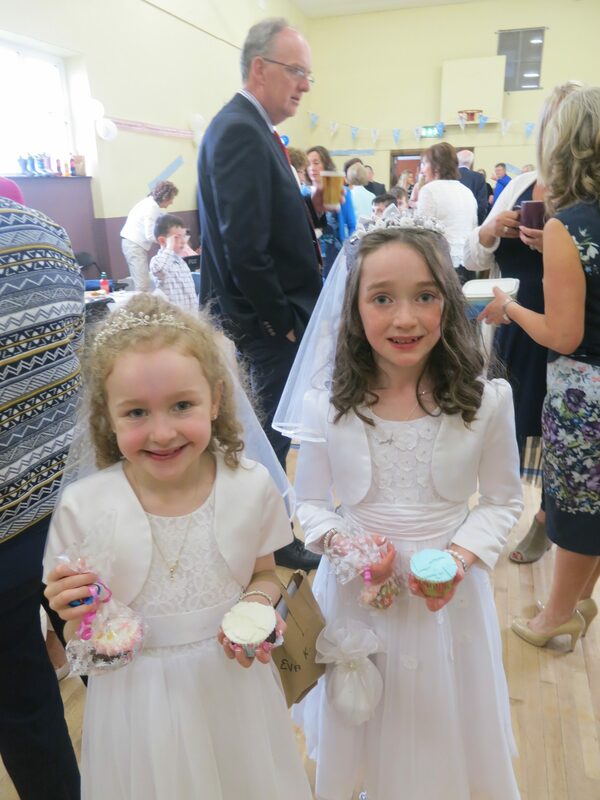 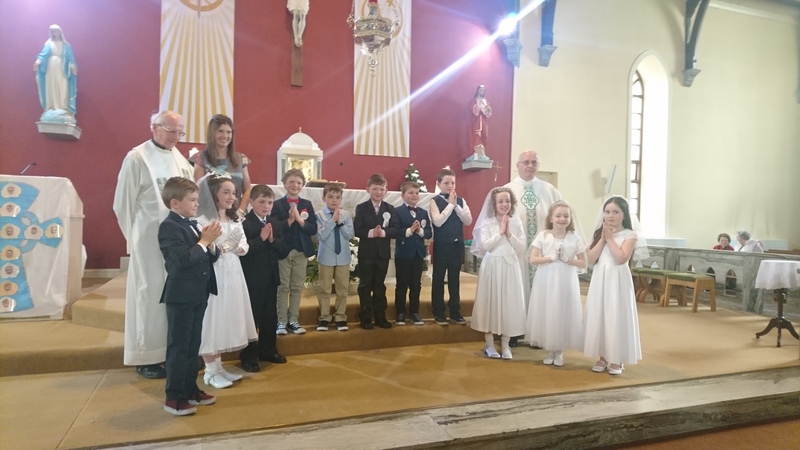 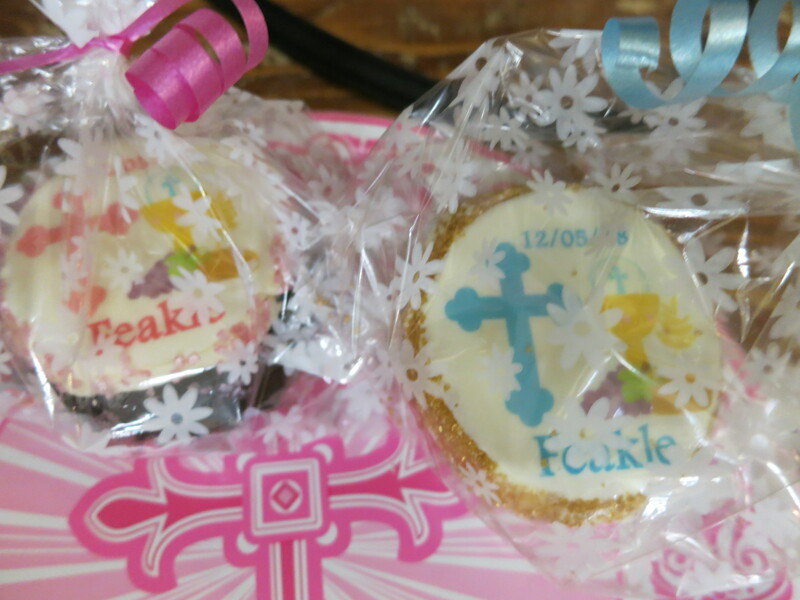 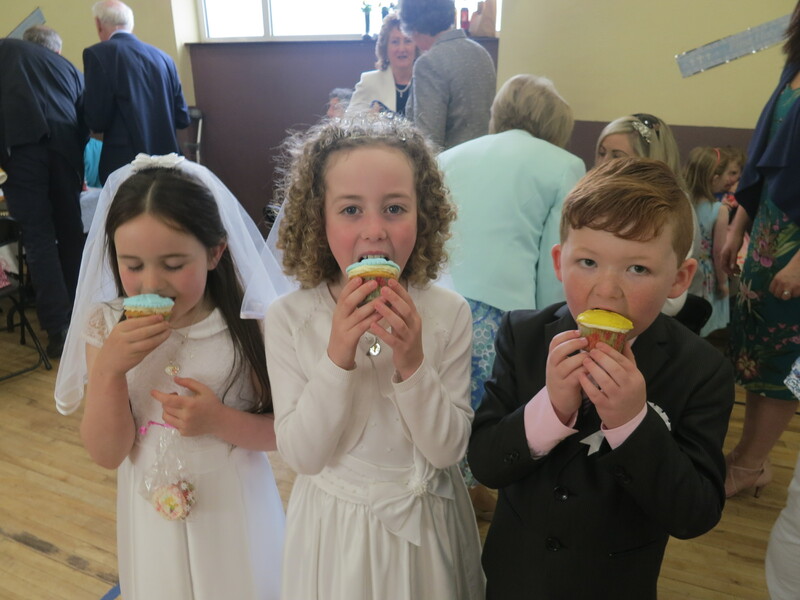 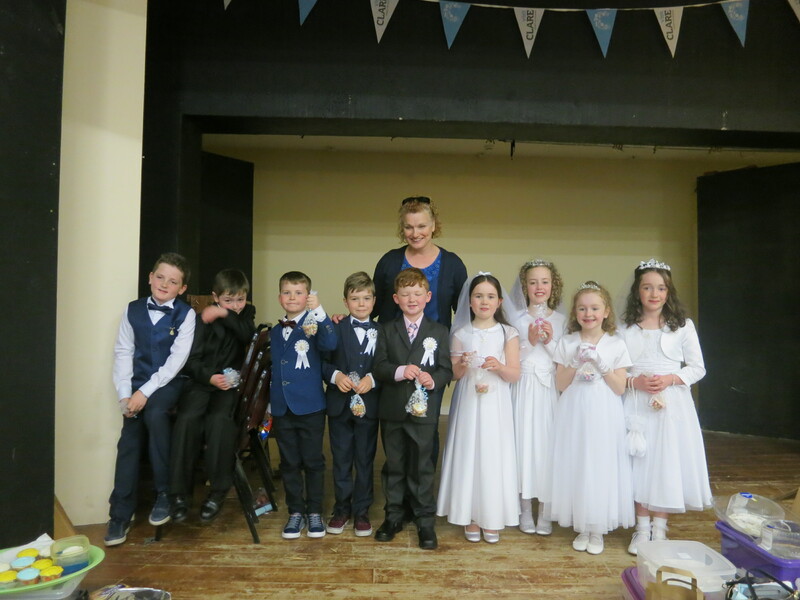 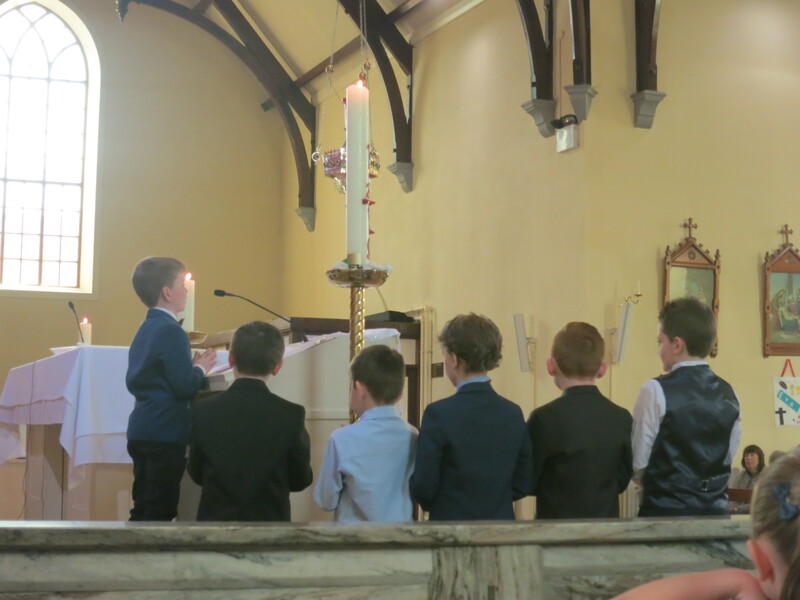 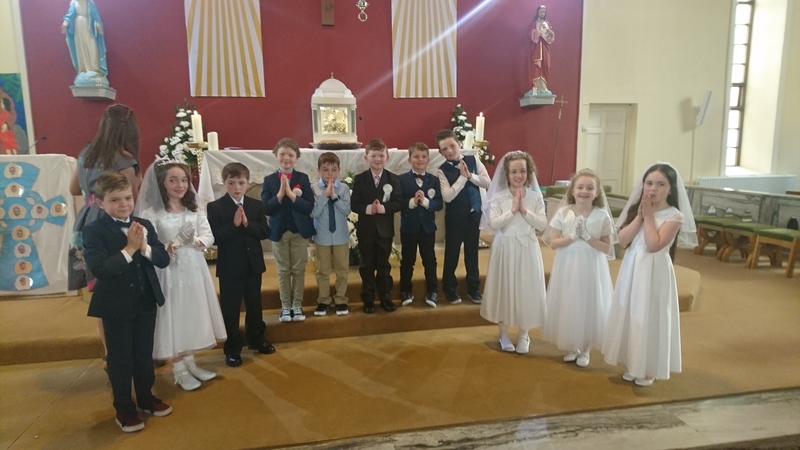 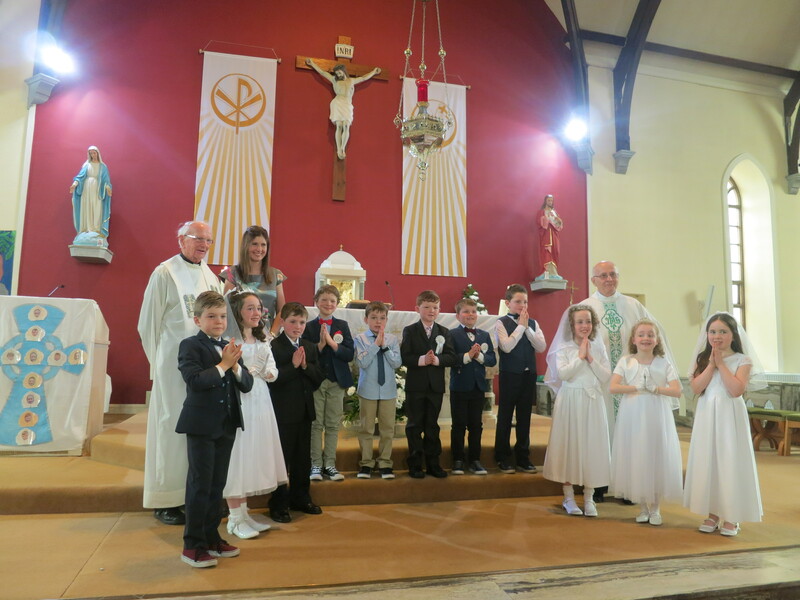 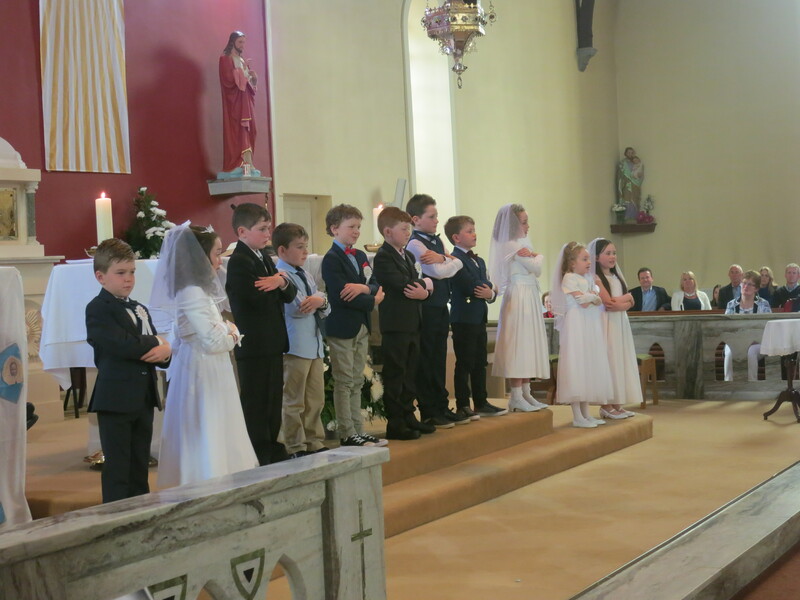 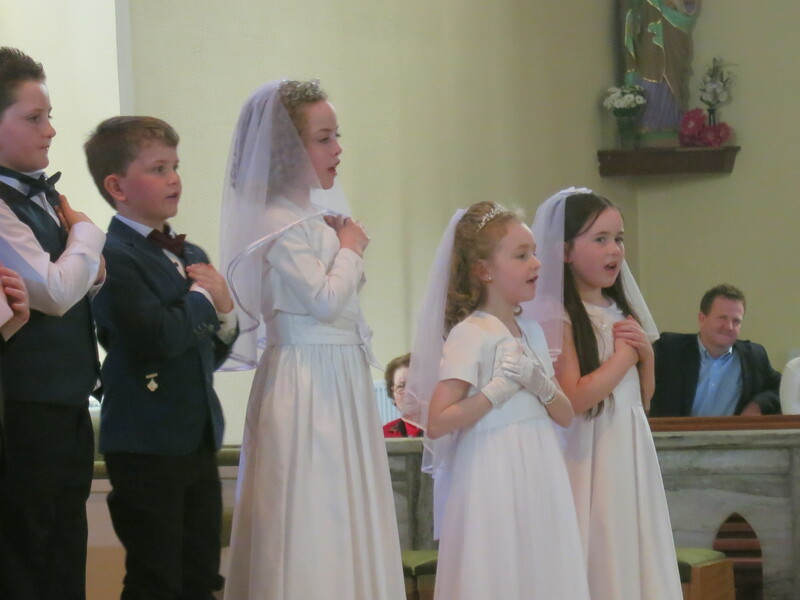 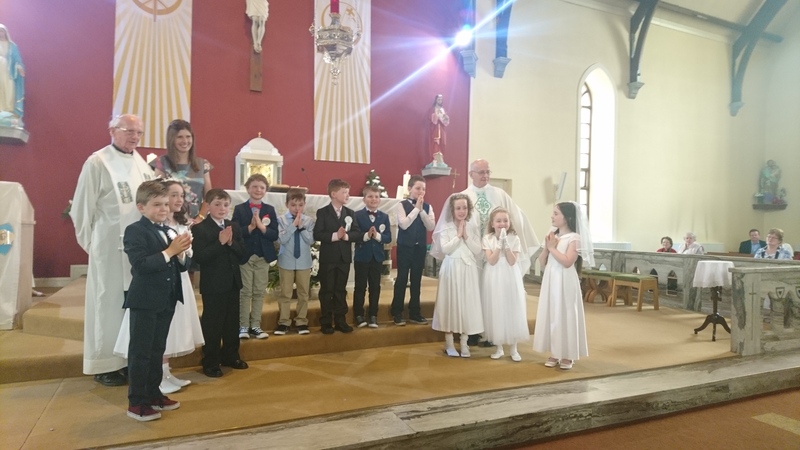 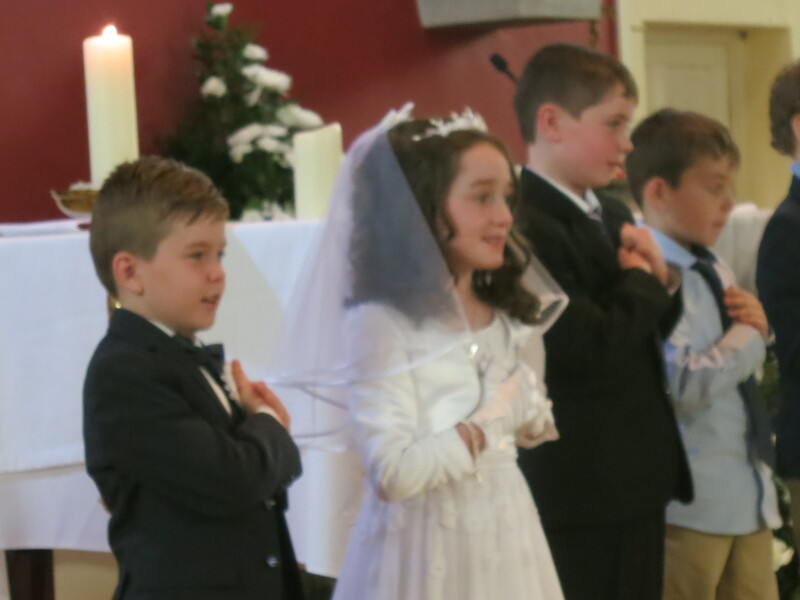 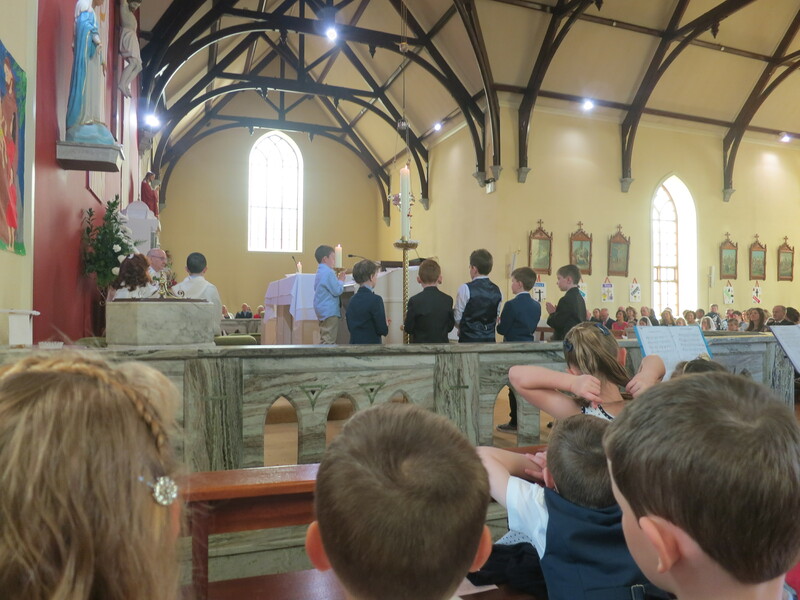 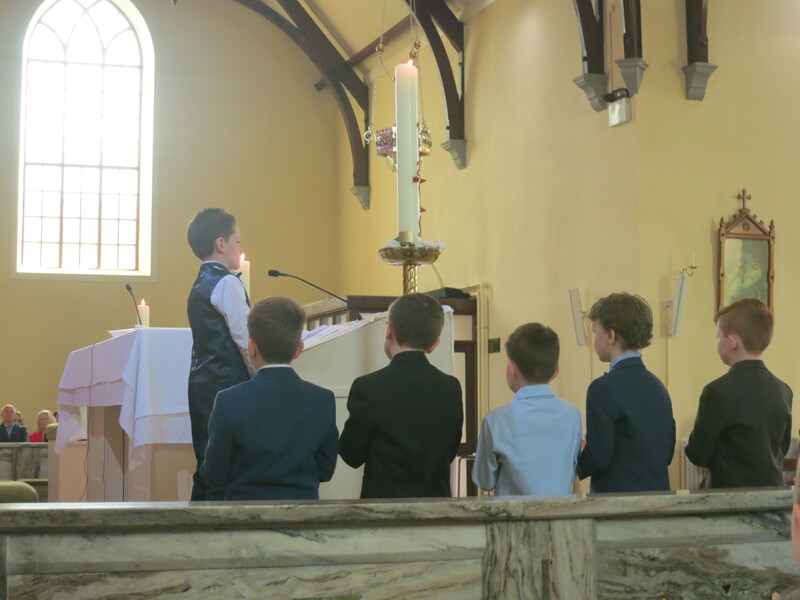 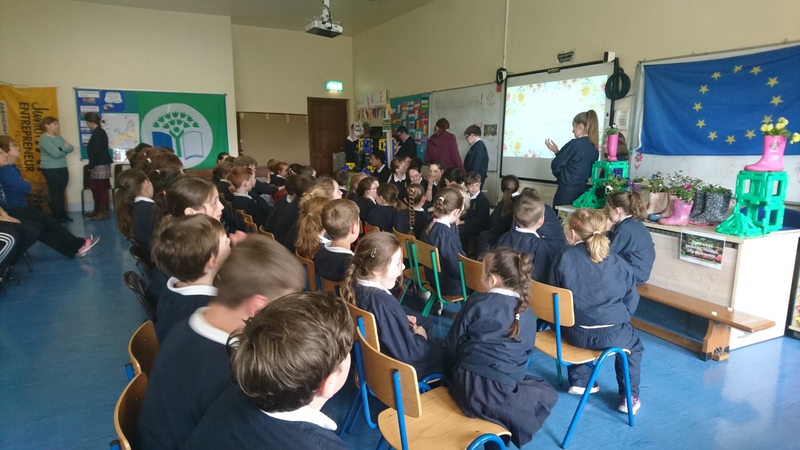 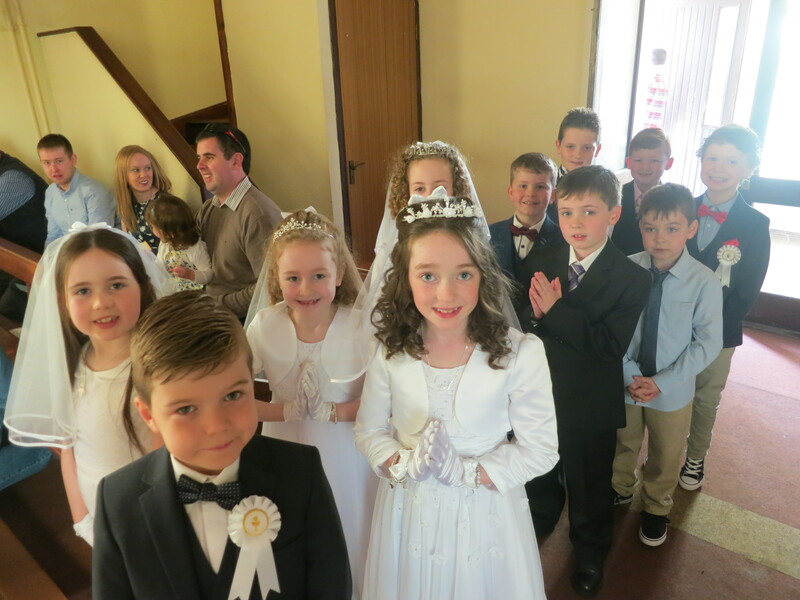 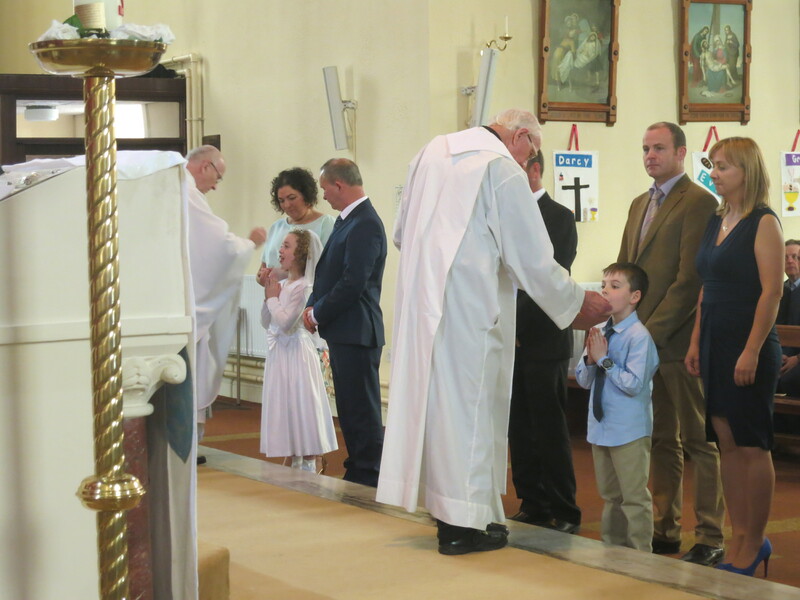 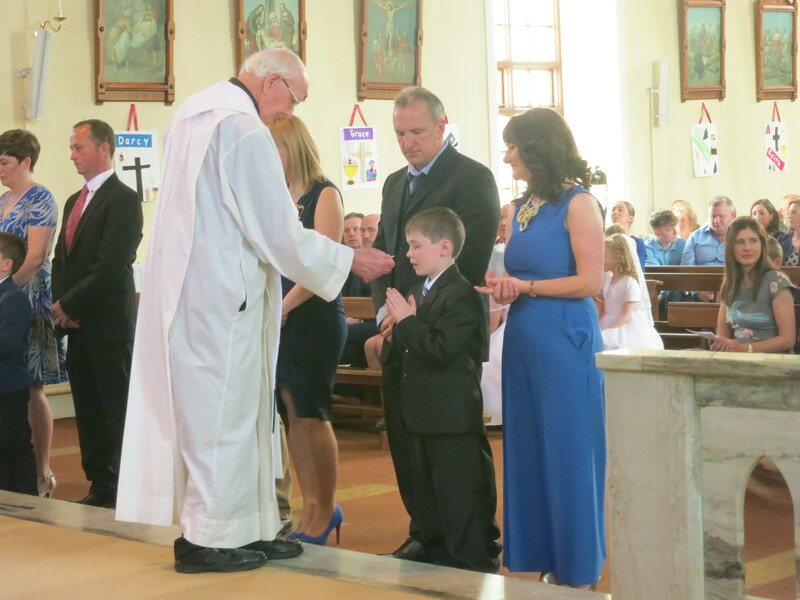 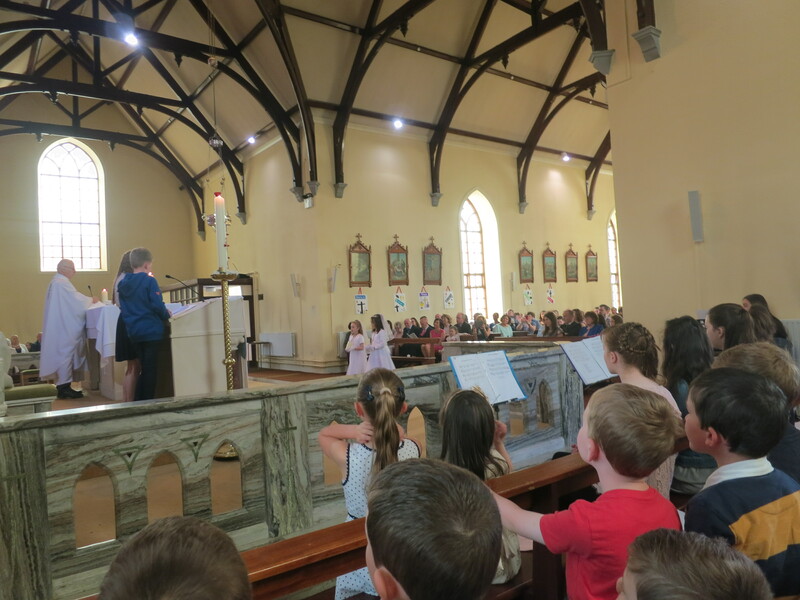 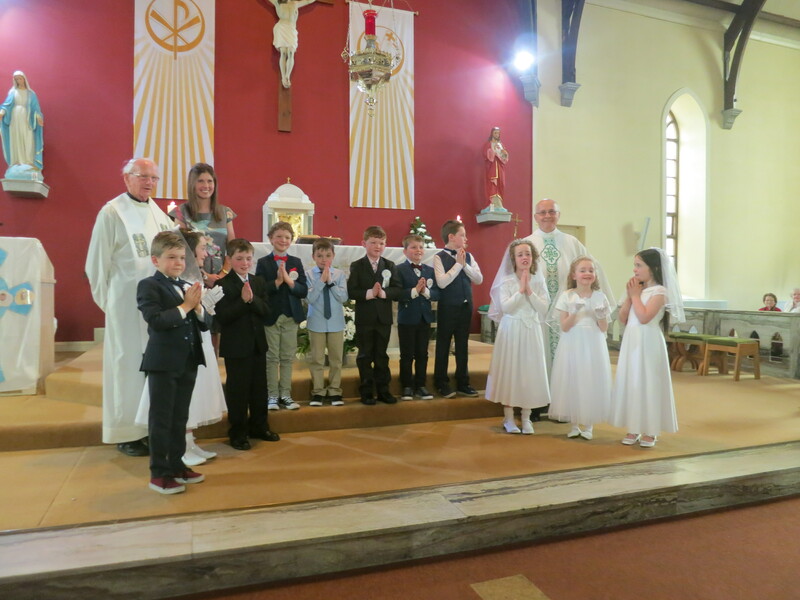 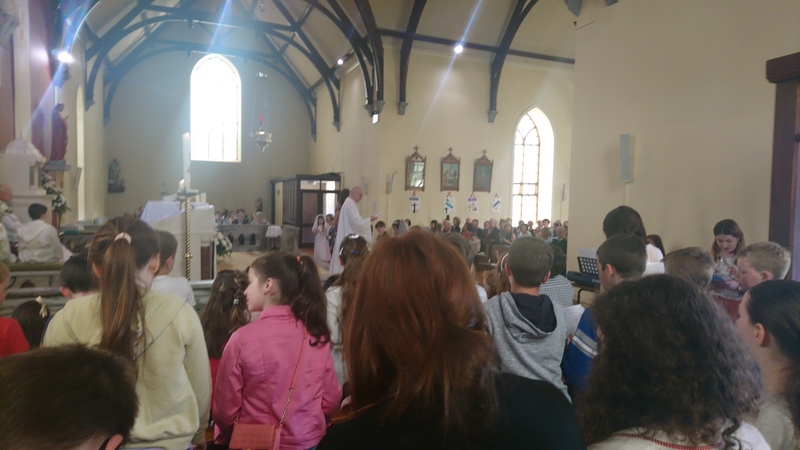 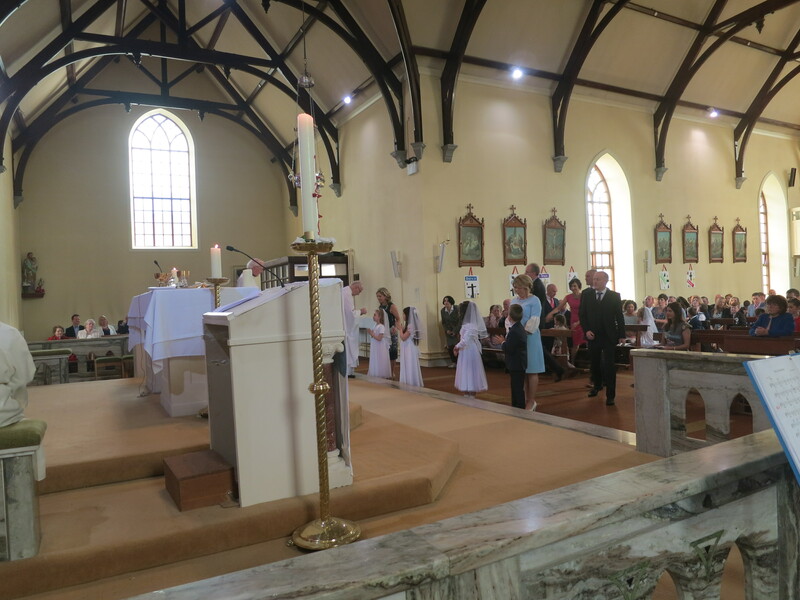 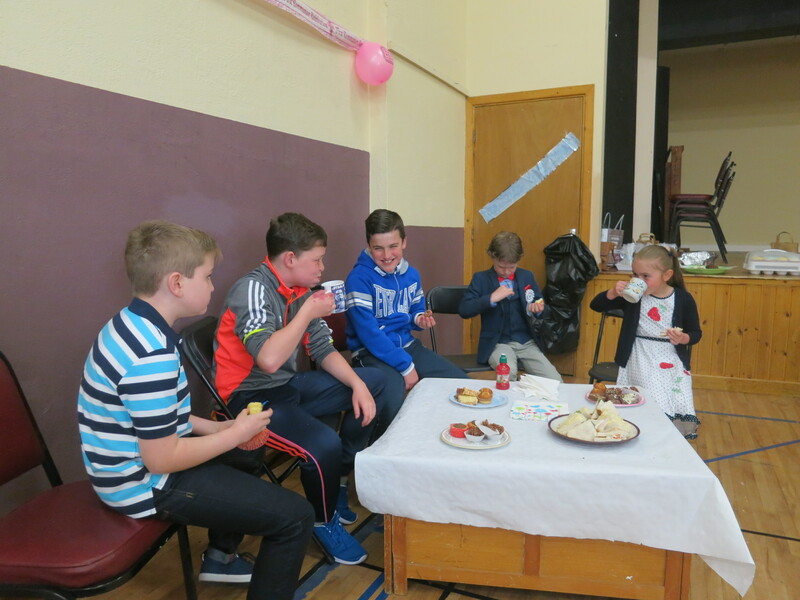 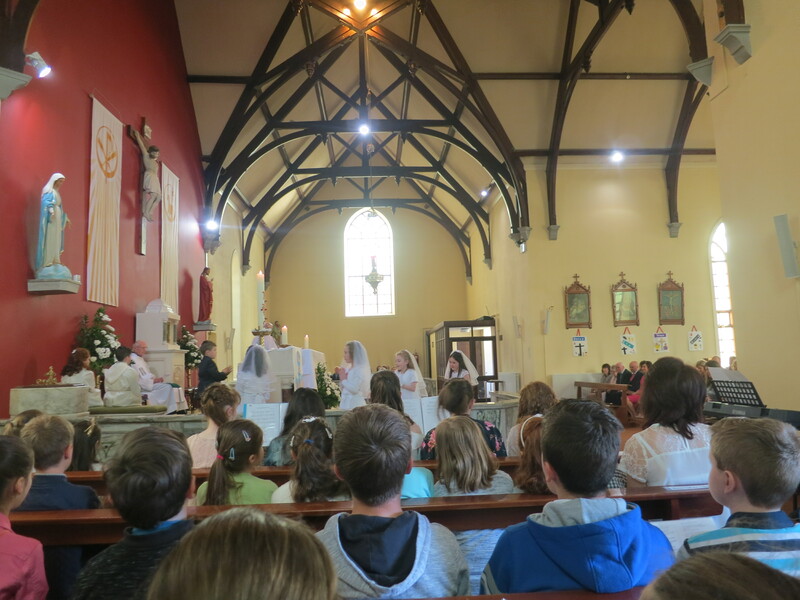 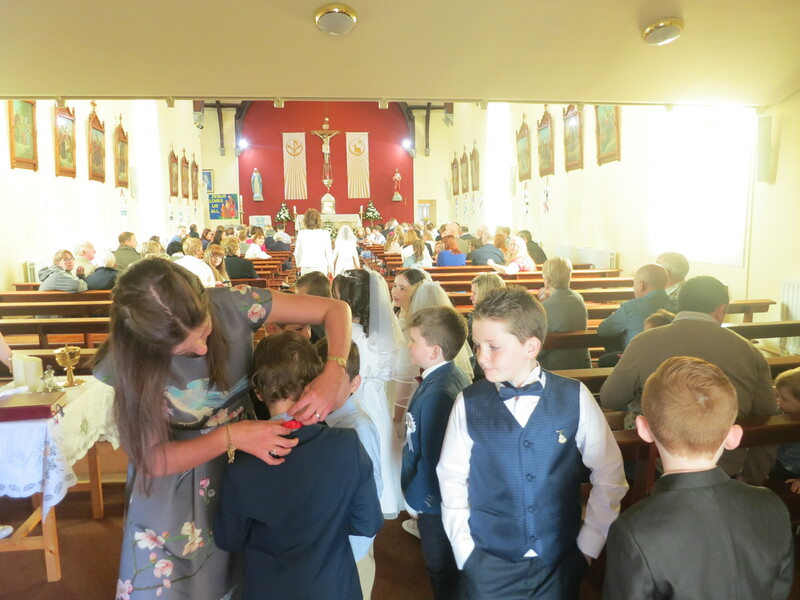 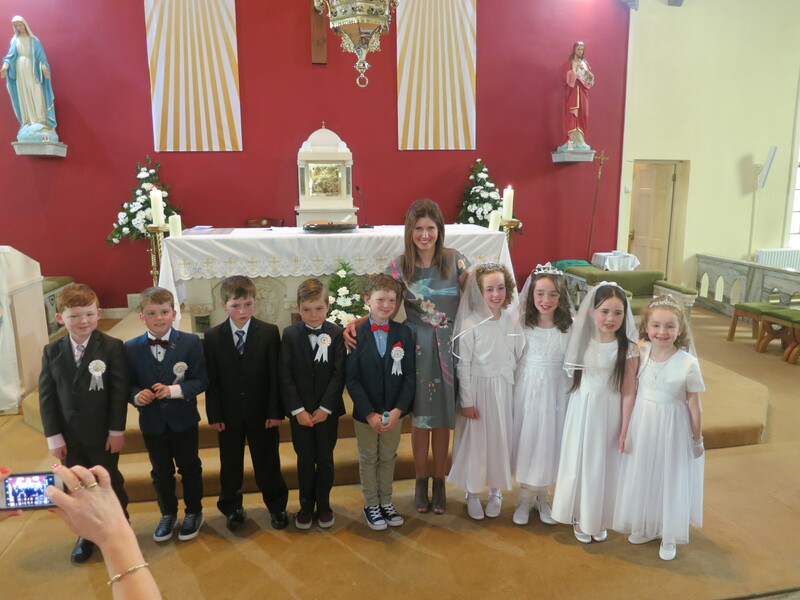 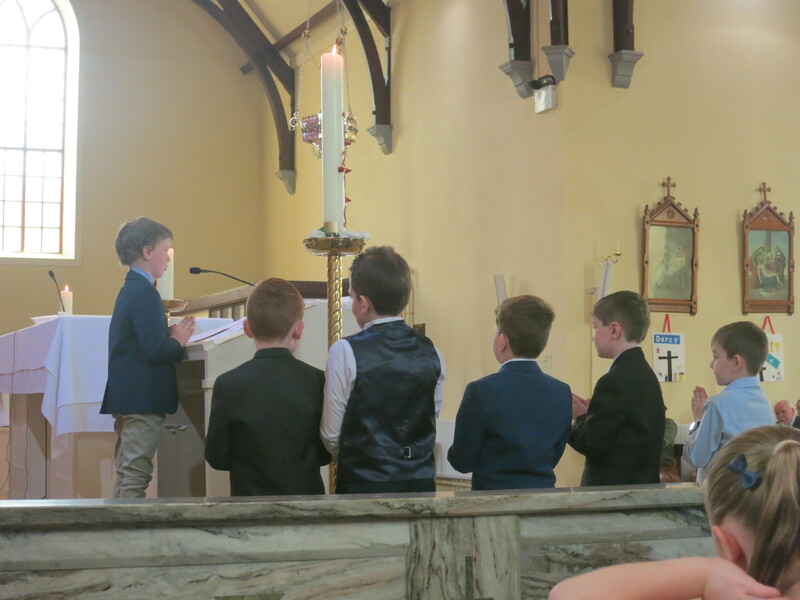 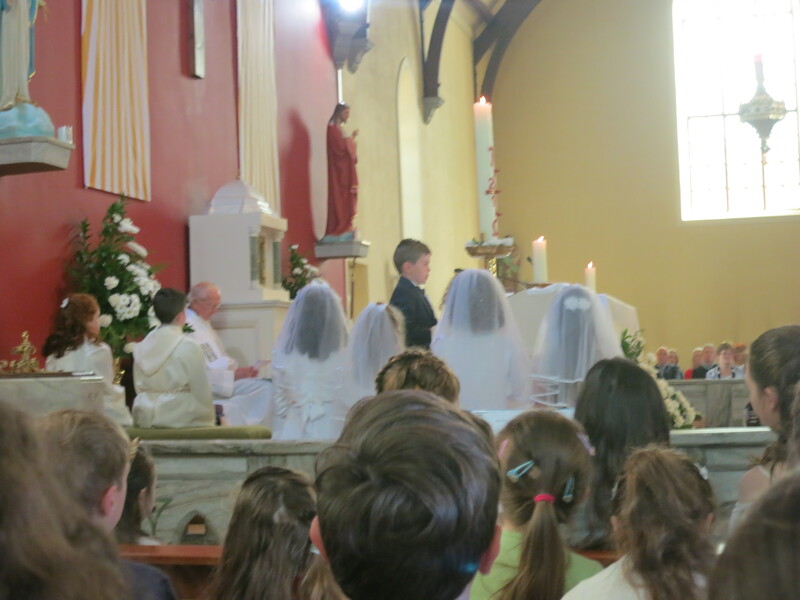 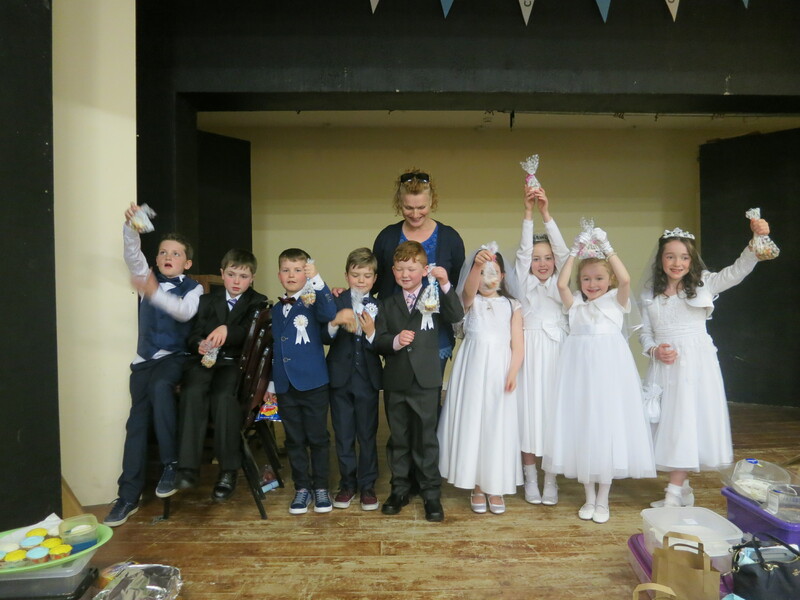 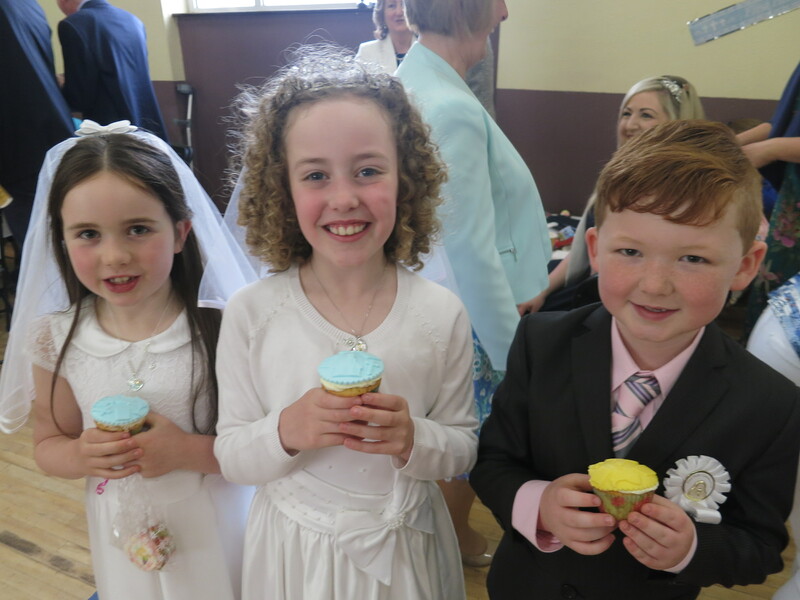 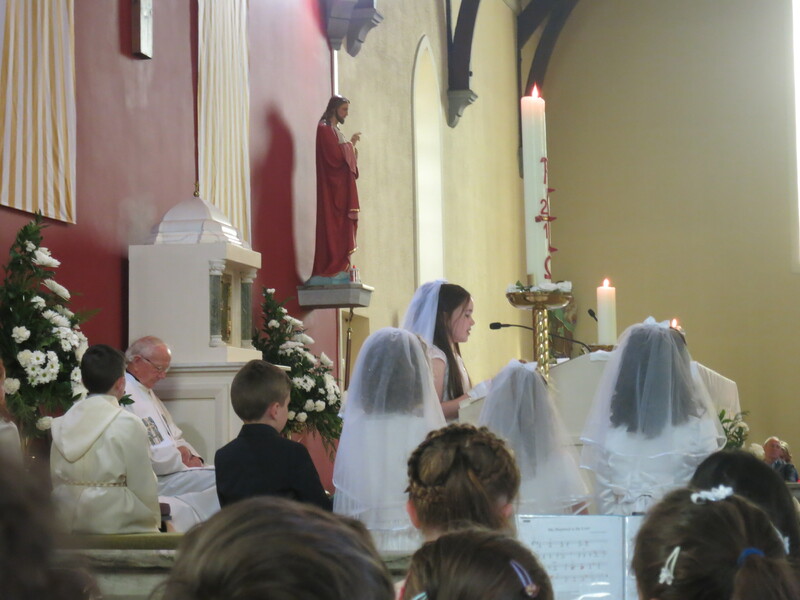 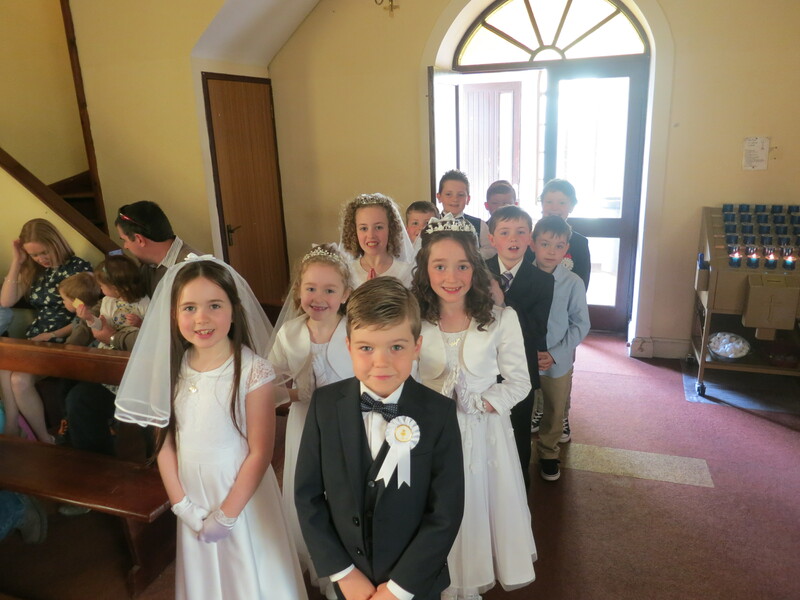 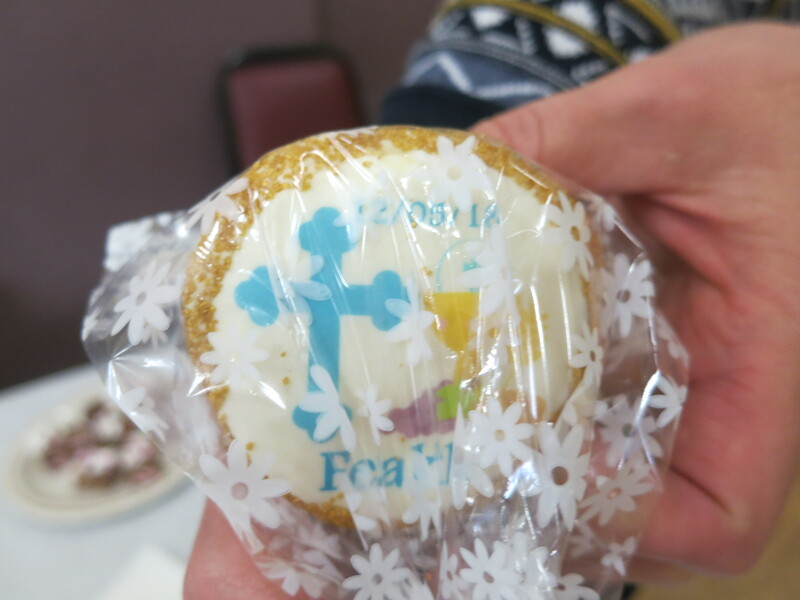 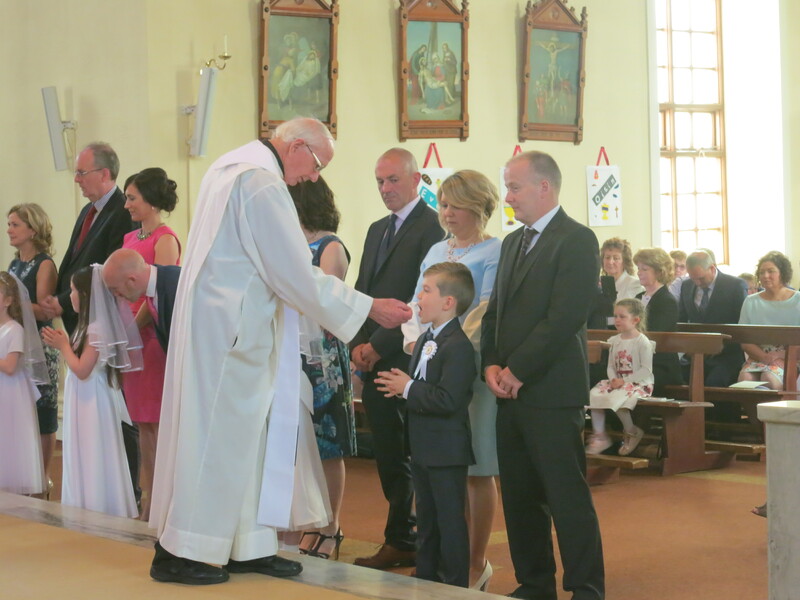 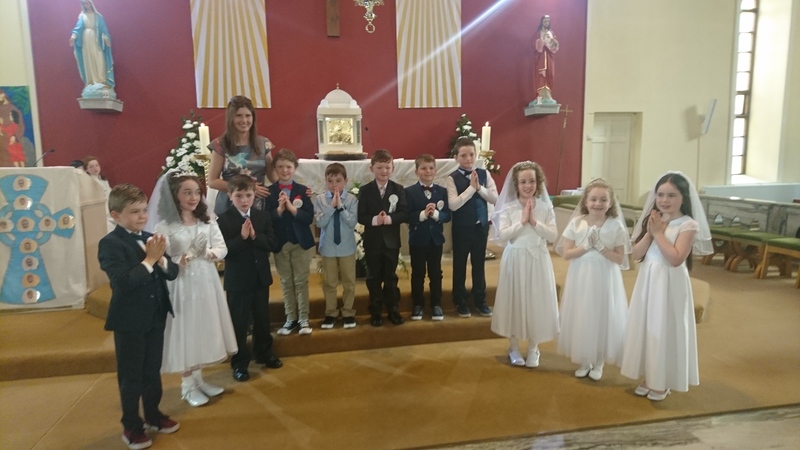 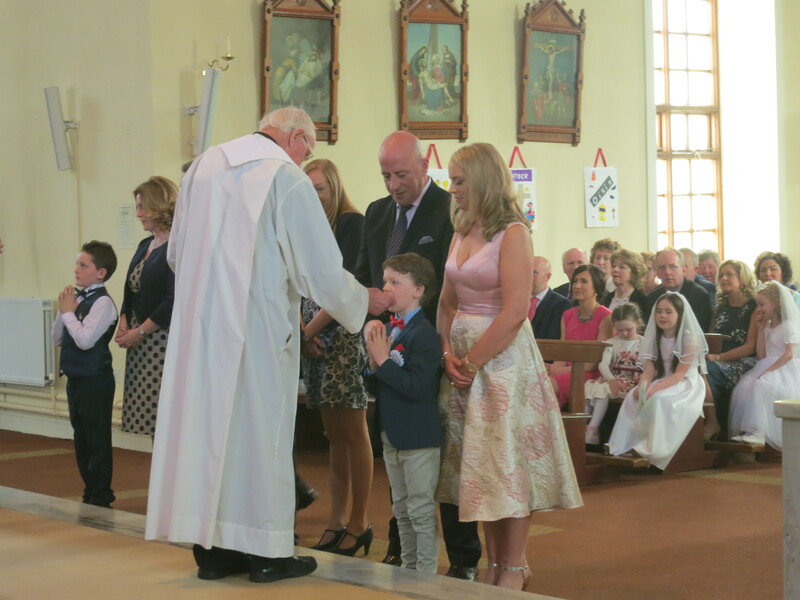 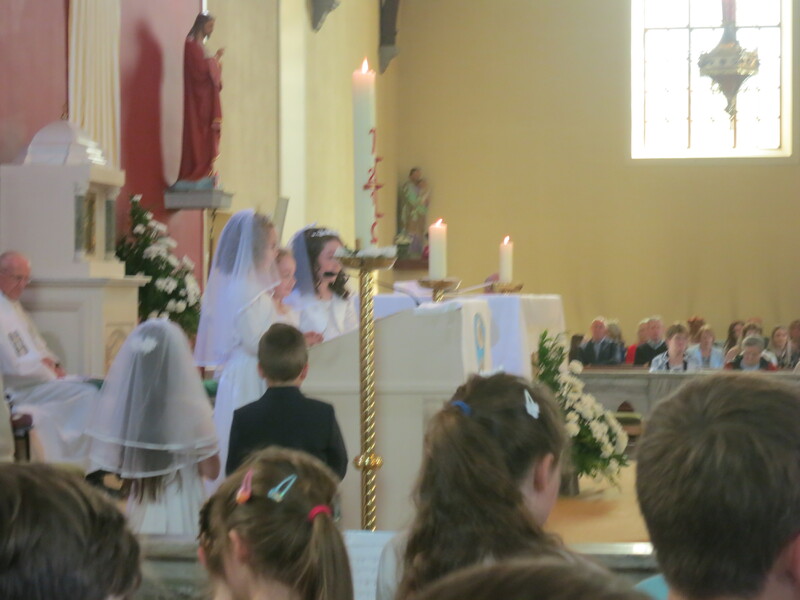 Congratulations to the 2nd class children who received Holy Communion on May 12th. 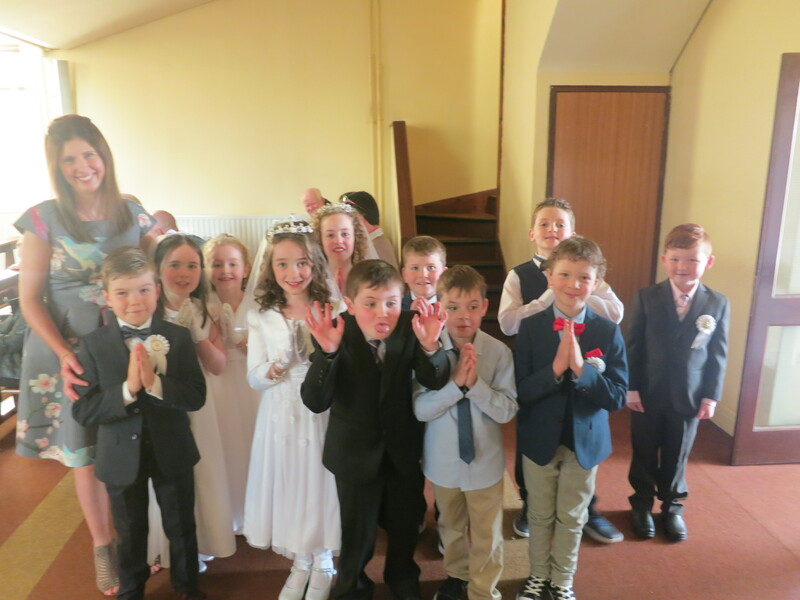 We hope a lovely day was had by all the children and their families. 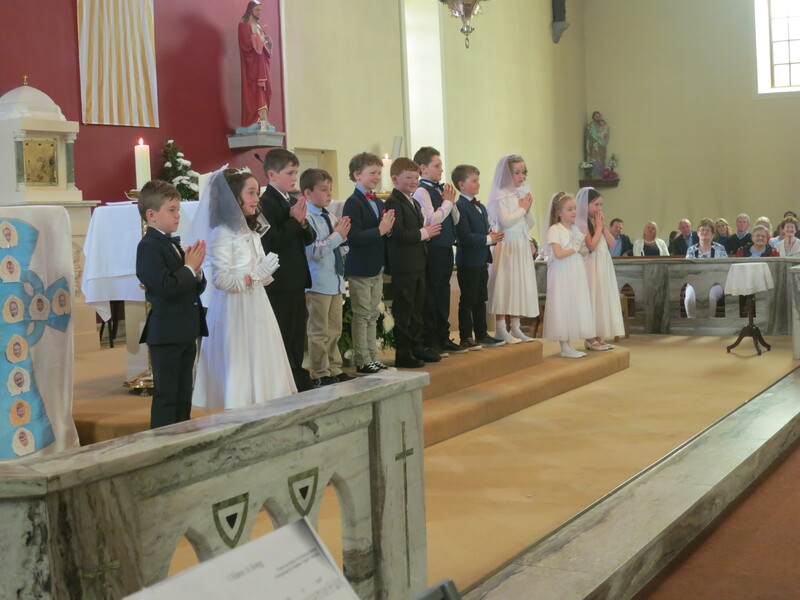 A special thank you to the children in the choir for their beautiful singing. 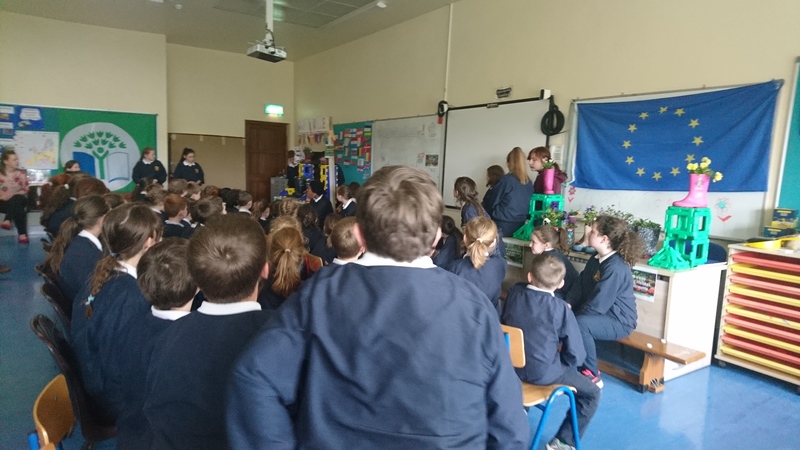 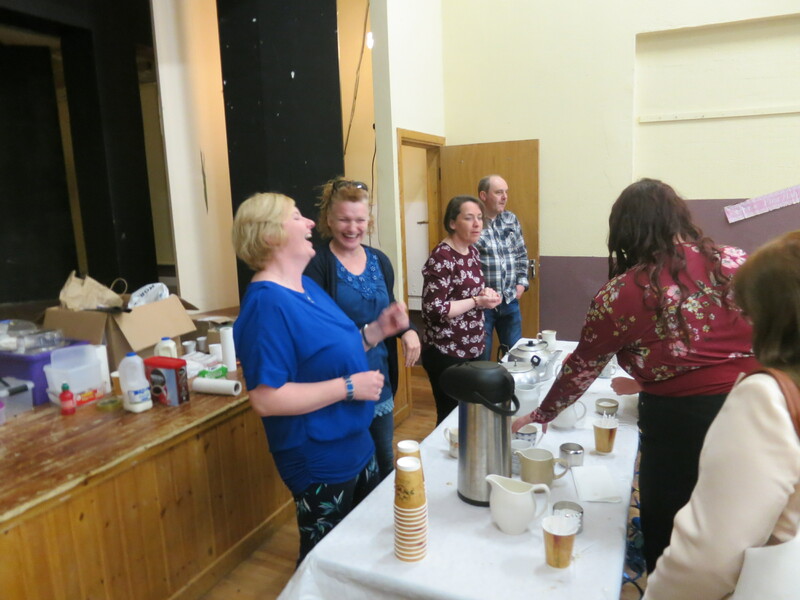 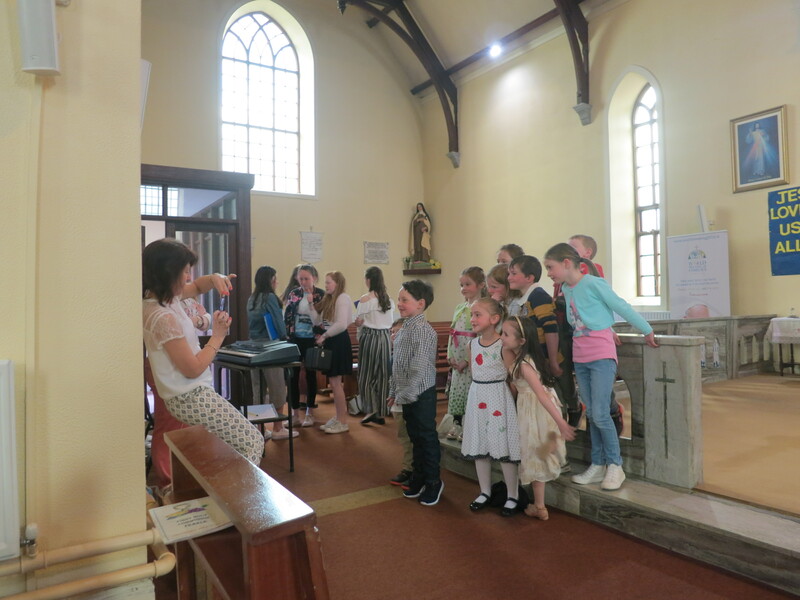 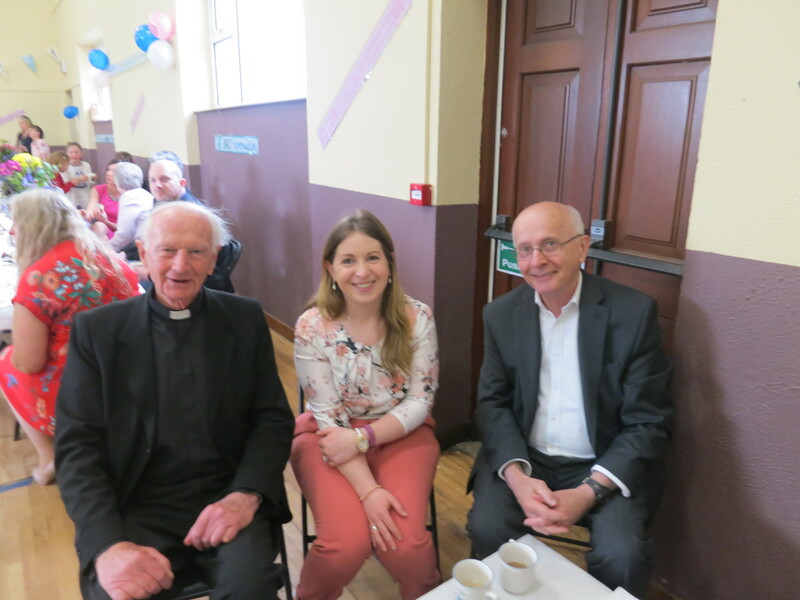 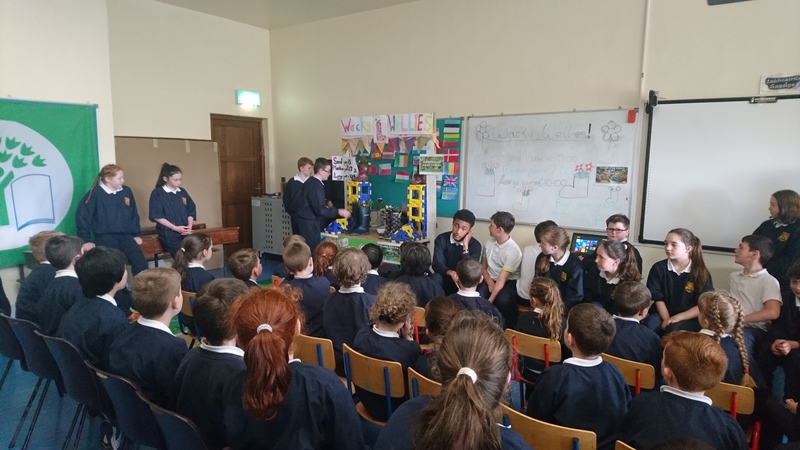 The choir was accompanied by Eleanor Nugent who was completing her TY work experience with us and by Sophie Conway and Keeley Rochford on tin whistle; Chloe Gallagher, Katie Moloney and Edel Cusack on concertina. 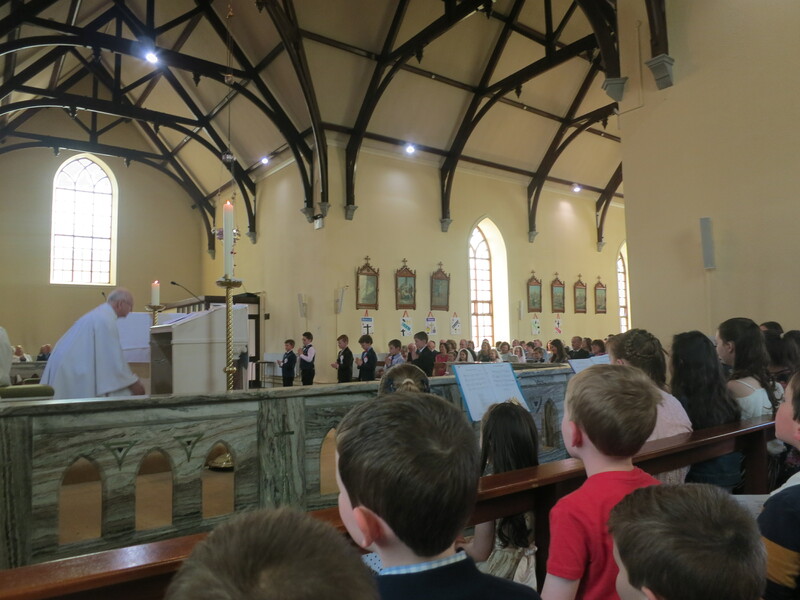 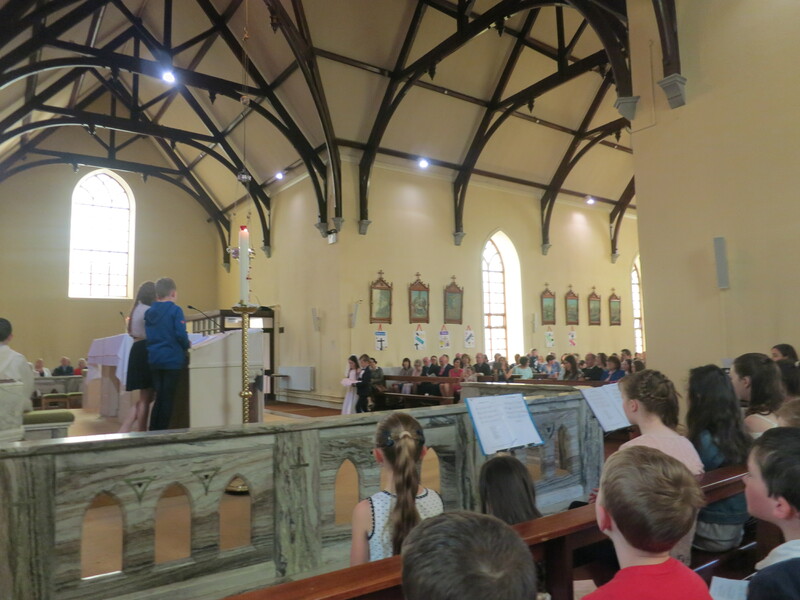 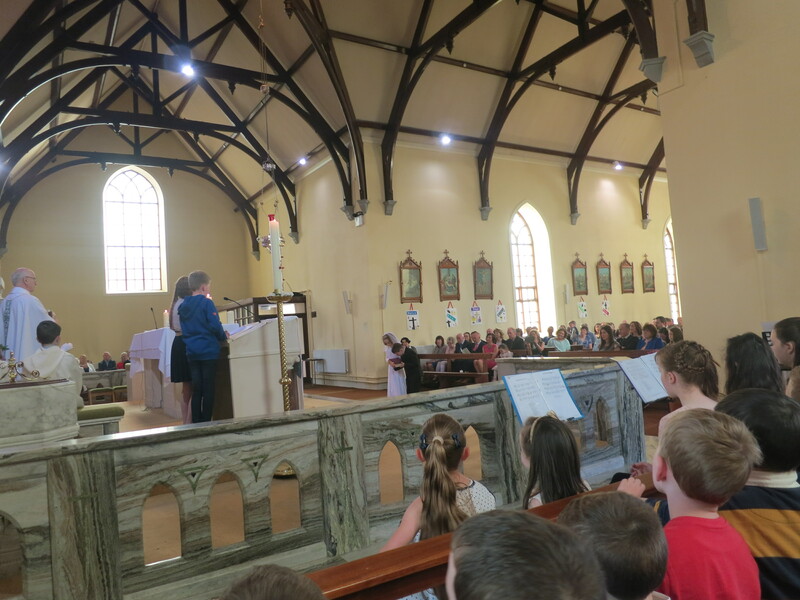 The music accompaniment made the mass extra special for the Holy Communion children. 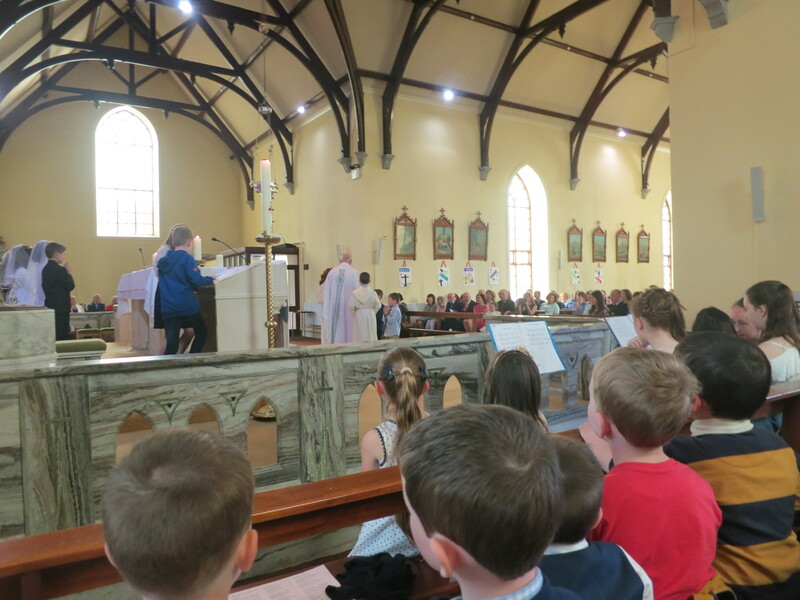 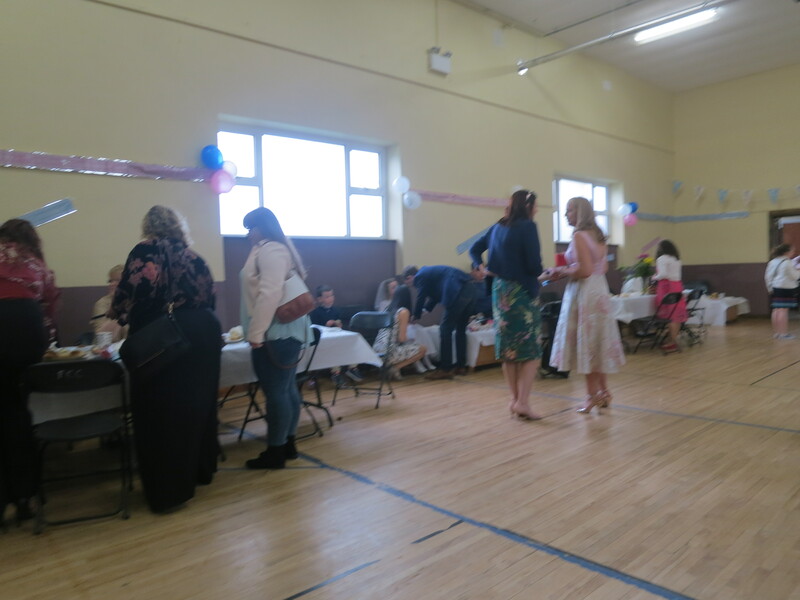 Thank you to all the parents who set up the hall and were there to greet the children and their families after the mass.